The Chinese city of Changzhou will be home to the first World Electronic Sports Games event, which will take place between 12-15 January. Apart from the prestige that comes with winning the trophy, the players will compete for the biggest prize pool outside of the Blizzard events, a prize pool that stands at $402,000. The money will be shared between the top eight participants, with the winner grabbing $200,000. Although China was restricted to one spot, it must be noted that Chinese players were allowed to compete in the Asia-Pacific qualifier and a further two (Jim and XY) qualified for the event. The tournament will be played in a one vs one format, with player origin considered in the draw. The 24 players have been divided into four groups with six players each. The group stage format will be round robin best-of-three, with the three players with the best record from each group advancing to the next stage. Meanwhile, the bottom three players will be eliminated from the tournament. The playoffs will feature 12 players in total and matches will be played in a best-of-five format. The second and third ranked players from each group will be drawn to play against each other in the round-of-12 (so a total of eight players). The four winners will advance to the quarterfinal stage where they will be drawn against the winners from each group. The victors here will go to the semifinals, with the grand final awaiting. The losers of the semis will play a third-place decider. 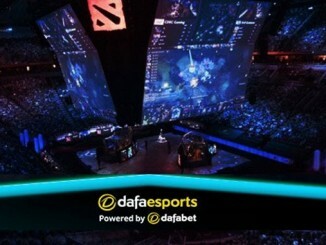 The grand final and the third-place match will be played in a best-of-seven format. Anything could happen in Group A, but Stephano, DeMusliM, XY and Namshar are the players most likely to fight for the three qualifying spots. Once at the very top of the game, Stephano has not been playing to his previous high standards for a while now. However, he is still a quality player and his rivals would do well to respect him. DeMusliM is another veteran and although beyond his prime, he is still competitive on the European scene. His form leaves a lot to be desired though, with a 50.00% win rate, but experience is on his side. XY ranks among the top Chinese players and demonstrated impressive play during the Asia-Pacific qualifier, where he finished in third place. Meanwhile, Swede Namshar entered the pro scene relatively late (2013), but has since established himself as a strong player. He is also in good form with an almost 65%-win rate in Legacy of the Void compared to an all-time 58%. Erik and Drager have not yet played at high level International events and will struggle to get out of this group. Drager was chastened 4-0 in the Finals of the Africa and Middle East qualifiers by Stephano, who he will face here again, while Erik (52.17% win rate) is a player who has mostly played on the American scene and has not faced competition of this rank. Group B could reasonably be called the group of death as it features a number of quality players, starting with Maru, who was one of the best Terran players in StarCraft II throughout 2015. Although not currently in top form, he is still a force to be reckoned with and his opponents will have to make the most of their chances against him. Furthermore, his stats are more than impressive, with a 75% win rate. His main contender for top spot in Group B will most likely be Nerchio, a European player who can be counted as among the few who can match the top Koreans. A 76% current win-rate places him at #4 in the world rankings right now. MarineLorD (58.82% win rate) and Harstem (56.10%) are the other two players who seem to have the best chance of finishing inside the top three of this group. Both have established themselves on the European scene as the former finished second in the 2016 DreamHack Open: Valencia this year, while Harstem won the Gold Series International 2016 and HomeStory Cup XIII. This leaves the last two players, Beastyqt and Rex, as outsiders in the group. The Serbian cannot showcase any significant achievements and has largely been absent from the European scene this year, while Rex’s abysmal form (32.14% win rate) suggests he’ll be out of his league here. Group C, containing four Zerg players, will be another highly contested affair. Scarlett (59.09% win rate) is arguably the best female StarCraft II player in the world right now and has been playing at the top level since 2012. Her most notable achievement is 2nd place at the HomeStory Cup XIII in June. Elazer (65.62% win rate) is Nerchio’s main competitor for the title of best Polish player and one of the best Zergs in Europe, securing a prestigious 3rd-4th spot at the 2016 WCS Global Finals. MajOr (60.38% win rate) is undoubtedly the best current Mexican player after making his breakthrough onto the International scene earlier this year by showing that he can compete at this level with a 5-8th place finish at the WCS Summer 2016.
iAsonu’s international ascent in 2016 was through gradual progression, demonstrating that his participation in the Korean dominated IEM Season XI was not coincidental. 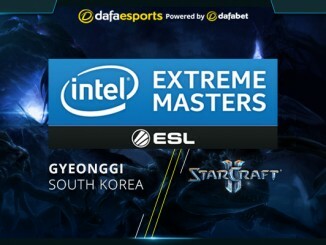 Even though he was eliminated at the group stage of this tournament, he did not finish bottom of the group and often played on par with some of the best Korean players. With a 68.29% win-rate, he certainly should not be discounted. Zerghamdi is the odd name here and his lack of experience at this level will be a huge impediment to his progression, while despite his youth, Neeb is one of the most impressive American StarCraft II players around. He has been taking part in tournaments since 2013, but it was in 2016 when he achieved quite a few notable results (2016 KeSPA Cup 1st, 2016 DreamHack Open: Austin 2nd, IEM Season XI: Shanghai 2nd) and will surely contest the top spots in this group. At first glance, Group D is where the fewest number of surprises are expected. TY entered the pro scene in 2011 and since then has turned into one of the best Korean Terrans. He currently occupies #3 in the world rankings. His biggest threat for top spot will probably come from ShoWTimE, with the German Protoss consistently being among the best European players this year. He also deservedly won the 2016 WCS Circuit: Spring Circuit Championship back in May. Any of the other four players could secure third spot, but Kelazhur or Cham seem to be the most likely candidates. The Mexican took part in the 2016 WCS Circuit: Spring Circuit Championship and his play, as well as his 5-8th place, showed he belongs in top level competition. The Brazilian on the other hand climbed to #26 in the world rankings with his good plays throughout the year, culminating in 3rd spot at the World Cyber Arena 2016. PiLiPiLi also took part in three high level tournaments in 2016, but he was eliminated in the first round in each of them. Meanwhile, Jim has shown that he is capable of impressive things in the past (3rd-4th at IEM Season IX, 4th at World Cyber Games 2013), but has been struggling on the International scene of late and enters the tournament in relatively bad form with a 48.57% win rate. 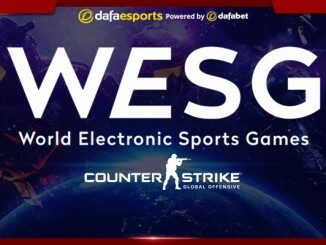 The WESG stage will feature players of various origin and skill level. It includes both players who are yet to experience the thrill of taking part in an International event of such magnitude, as well as those who are used to winning on the big stage. The group stage will offer plenty of games and it will be interesting to see if the newbies can truly challenge the veterans. 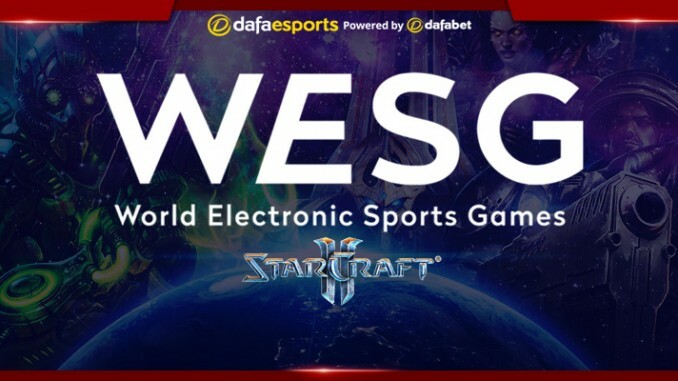 Combined with a prize pool of this size, the WESG has the prerequisites to be the first StarCraft II spectacle of 2017.